I have never really thought much about holidays within the UK, but with restrictions being placed on taking children out of school during term time, and flight prices getting ridiculously high in peak times, it is something I have now been considering. It is amazing how many places there are within the UK that are ideal to visit. This guest post highlights the joy of Edinburgh. Easy to get around, friendly and packed with fun activities for young and old alike, Edinburgh is a fantastic place for you all to escape the demands of school and work and spend some quality time together. For a stress-free journey, consider taking the train to Scotland’s capital, and when it comes to accommodation, book with Travelodge for a clean, spacious family room where you can save cash and rest easy knowing you’re all in the same room together. Even though it’s on the outskirts of town, Edinburgh Zoo is well worth a trip if you’re visiting the city with children. 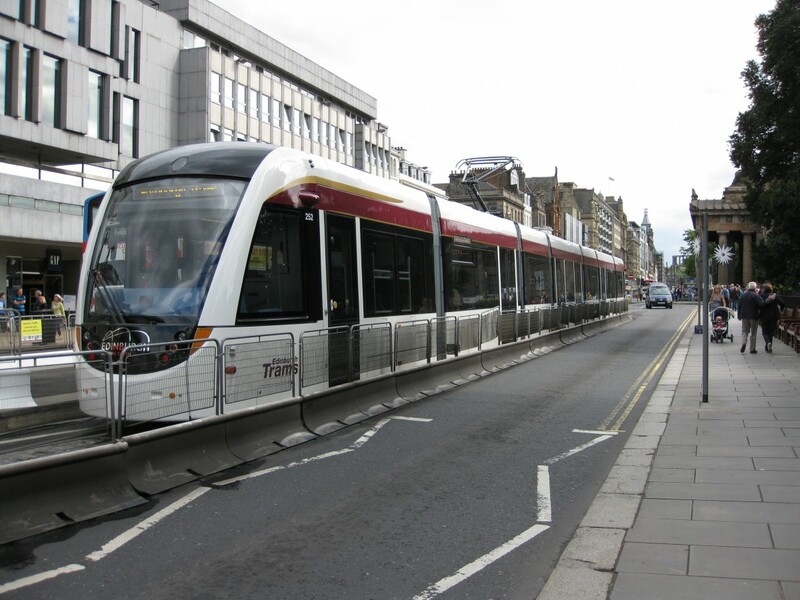 Take the Panda Express, a bus service named after the zoo’s most famous residents, giant pandas Tian Tian and Yang Guang, or try out Edinburgh’s brand new tram service, which stops close to the zoo. There’s more than enough to see to make a full family day out, so if it’s not raining, be sure to pack a picnic. Don’t miss the daily Penguin Parade and be sure to check out the UK’s only resident koala bears. Edinburgh Zoo is quite hilly, so wear sensible shoes, and if you’ve got tiny tots in tow, you’ll probably need your pushchair. To add an educational spin to your fun-filled family day out, make sure you spend a day at this fantastic, interactive attraction that tells the story of the history of Planet Earth from the big bang all the way up until now. This is a great time to visit as you and your family can now explore the brand new Scotland’s Time Lords exhibition, where you really will all feel like you’re travelling through time. After all that, if the kids still have any energy left, they can let off any remaining steam in the Ocean Commotion soft play area, while you relax with a well-deserved cup of coffee. This unique, fascinating attraction located near the castle in Edinburgh’s Old Town is a not-to-be-missed family attraction in Scotland’s capital. As they get the chance to pick people up and move them around from the image projected onto the table in this Victorian rooftop room, your kids won’t believe this brilliant optical illusion dates back over 150 years! There’s also the opportunity to hear stories about Edinburgh’s rich and varied history and gaze out at some unbeatable views of the city. If you’ve got kids, you can only go so long before they feel the need to run around in the great outdoors, and no matter where your Edinburgh adventures take you, you’ll never be far from a park. The city’s most central park, Princes Street Gardens, couldn’t be in a more convenient location and, at its west end, it boasts a lovely kids’ playground where they can slide and swing to their heart’s content. Whether your family consists of toddlers, teens or in-betweens, you’ll all have a wonderful time on your short break in Edinburgh. Disclaimer: This is a sponsored post as per my disclosure policy. Looks like a great place to visit Foz, where everybody can have a fabulous time.